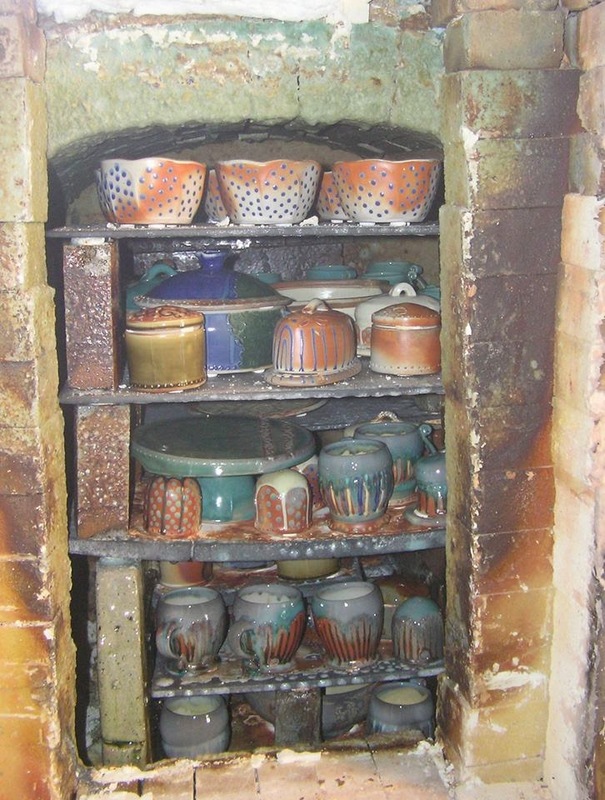 Unloaded the kiln on Wednesday. I didn't take any formal shots of any of the pots, because almost everything needed to be packed up & shipped off right away, to The Cat Doctor, to Handworks, and now, to Gray Fox Gallery in Rockland. The pieces toward the center back were a little dry - I used the same amount of soda but the shelves were in a different configuration to accommodate a bunch of plates for an upcoming show. (I needed five to be perfect, and I got five, but I'll still probably put 10 plates in the next firing, so I can choose the five most fabulous.) The shelf configuration affects the flame path, in this case limiting the amount of soda that got deposited in certain areas. A couple are so dry that I think it's worth refiring them. .
And oh, BTW, I've discovered the secret to financial success...if by success we mean having enough money to pay everything on time and pay some extra to a credit card. And the secret seems to be work all the time. This is not as bad as it sounds, but I'd be lying if I said I can keep it up forever. I get out of bed, get coffee, and start reading and answering email. Then I have breakfast and either go into the studio or off to teach whatever class or workshop is on offer that day, or to deliver pots. In the evening I send out invoices or do website work, lately for other people but sometimes for myself. Or I pack pots or soap to ship in the morning. Every day. No exceptions. For four months now. I accept every class or workshop offered me. I spent my husband's 50th birthday running a raku workshop, and our wedding anniversary teaching classes. 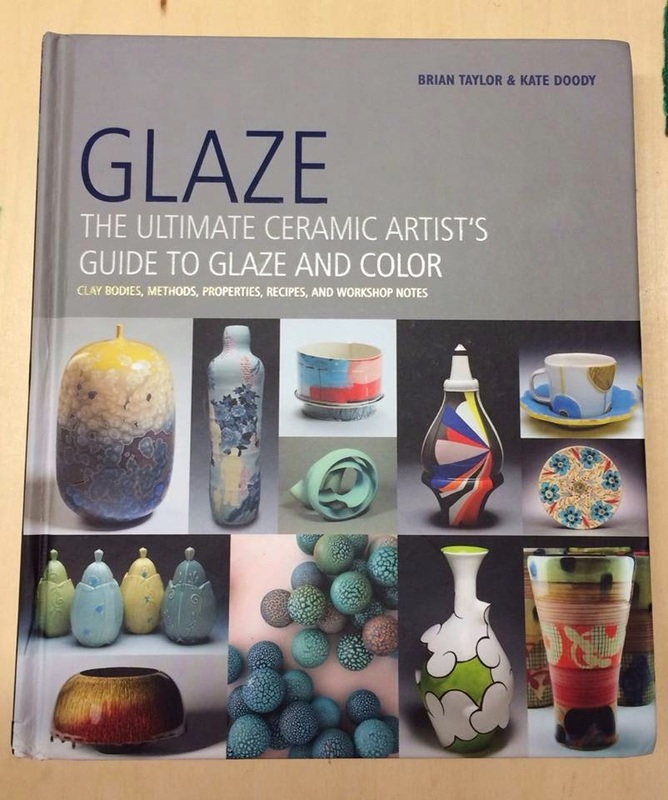 My own 50th birthday was a 12-hour glazing marathon. I've hardly blogged at all. I cancelled our Netflix account because we just haven't been using it. I haven't been out on the river all summer, and forget about the gym entirely. The laundry pile in my bedroom is possibly sentient. And for once, the big push is working. I guess that's what it takes: I finally stitched enough patches into the patchwork quilt of my income to get some traction (to mix a metaphor, somewhat nonsensically.) Could be worse: I could have done all that and STILL not had enough. If I can keep it up for another month (assuming no surprises!) I can maybe relax a tiny bit, once I murder my smallest credit card balance. Tomorrow, though, I am taking a real day off. Tomorrow we are taking the canoe out on the Kennebec, with some refreshing beverages, plenty of sunscreen, and the camera. Cheers! Good to go in soda. Dove gray over iron bearing claybodies, cool white to pale gray over white claybodies. Photos to come! Yesterday was a busy day! In the morning I sorted, priced, and delivered pots for Quench, a new store in Belfast, Maine. The owner, jeweler Jennifer Lisa, got in touch with me last month. We met in December, during the Holiday Pottery Shop open house and were a Mutual Admiration Society from the start. Jennifer makes some amazing things. Belfast is a cute little town on the coast, nice for a day trip. Lots of unusual shops (my 2nd favorite is City Drawers! ), restaurants, and pubs. Afternoon and evening were my regular classes. Today I unmolded my most recent soap! 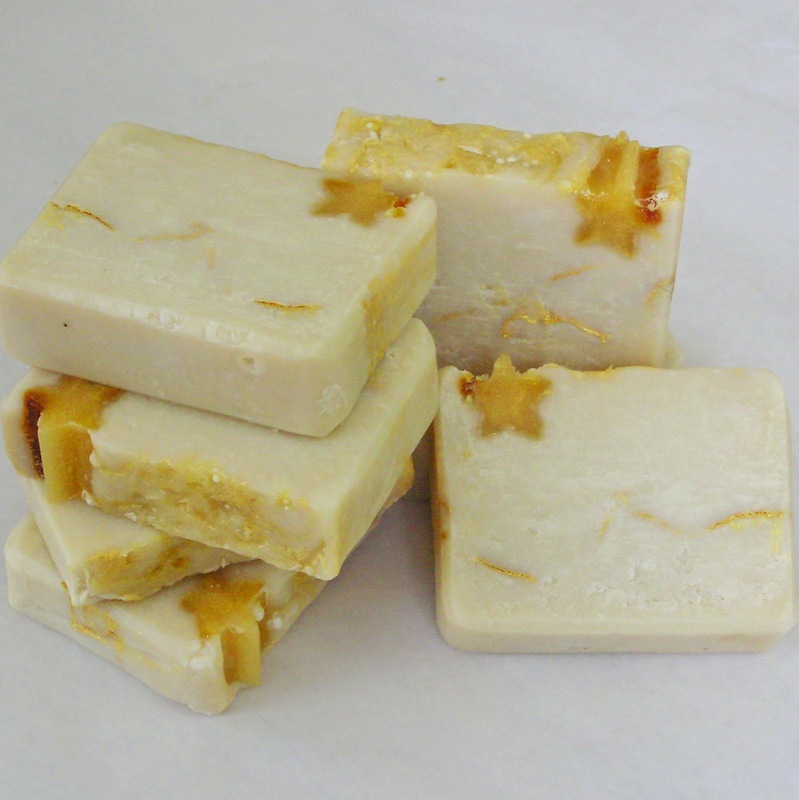 The scent is warm vanilla sugar, simple but one of my favorites. Like glaze, soap doesn't always do what you expect; in this case I had placed some sugar pearls on the top, which just got absorbed into the bar. 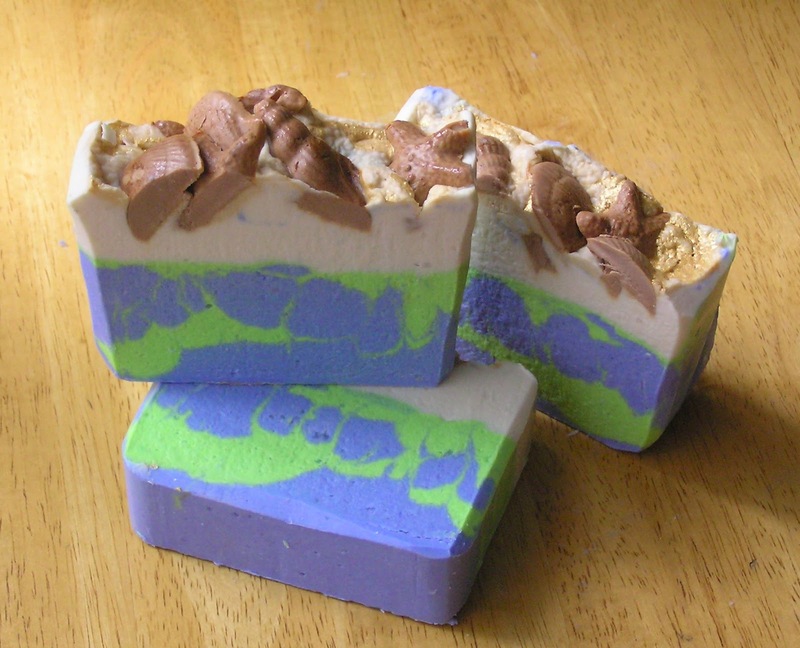 They will still serve a function - sugar in soap helps make a nice lather. I had also expected the gold mica line to be more pronounced, but overall I have no complaints. Soap has to cure for a few weeks so this won't be usable until late September. Today is also glazing, for my upcoming firing - either Friday (my birthday!) or Saturday. 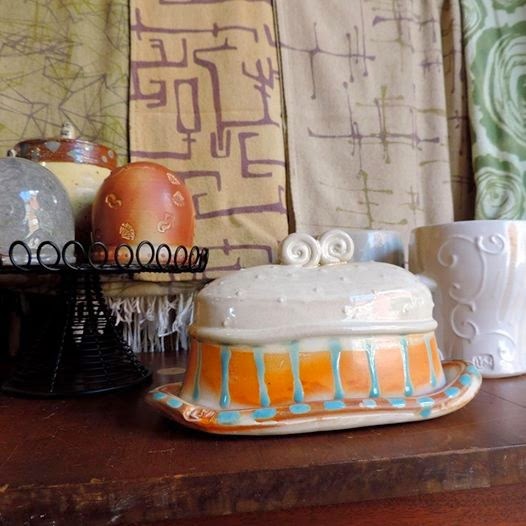 And just before bed I hope to finish up another website, this one for my friend Diane Harwood of Mudgirl Pottery. I'll post the link when it's finished. And tomorrow? tomorrow will be household stuff: bill paying, grocery shopping, vacuuming, stuff like that. Also ordering signs for Maine Craft Weekend! That's not until October but preparations start now. Then meeting some friends for lunch before teaching my Thursday night class. I'm pushing hard to get work out for my new accounts, and also doing website work, so time for blogging has been a bit limited! It's a good kind of busy, though, so no complaints here. Okay, one complaint: no time to work out! I might squeeze in a long walk after lunch tomorrow, just to get the blood flowing. I know Kate Doody and Brian Taylor from my Watershed days; Brian was a resident and Kate, summer staff. They were kids then (or seemed so to me...) but now they've gone and written a book! 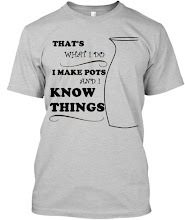 Can't wait to check it out.. Looks like potentially a great resource for students and more experienced potters alike. let's see what we've got! Tuckered out and feeling a little non-verbal today, but here are some images from yesterday's raku firing. All the ware is student work. 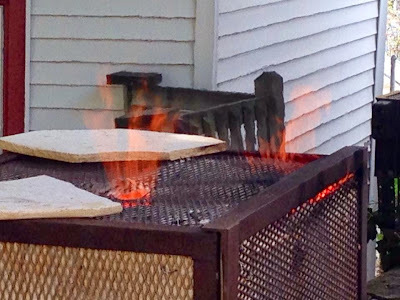 I've got two more raku firings scheduled this season, one with my Thursday night class in the upcoming session (beginning the 21st) and one Saturday workshop in September. Date to be determined, hopefully today! 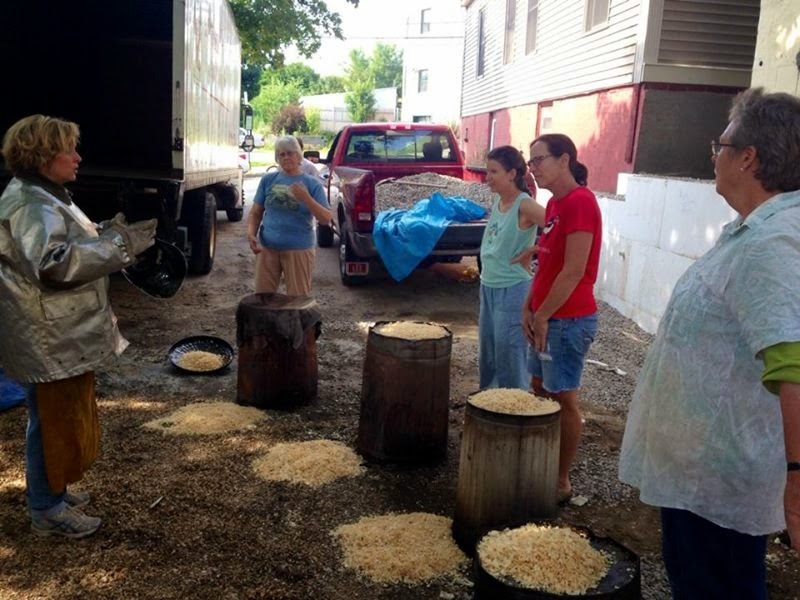 'll update as soon as I know, or give Cooper a call at Portland Pottery, 207-772-4334. Fortunately I love my work, because almost everything I do is work-related! Not absolutely everything, though; yesterday I was in a lovely wedding on a perfect summer day, blessed by a brief downpour. 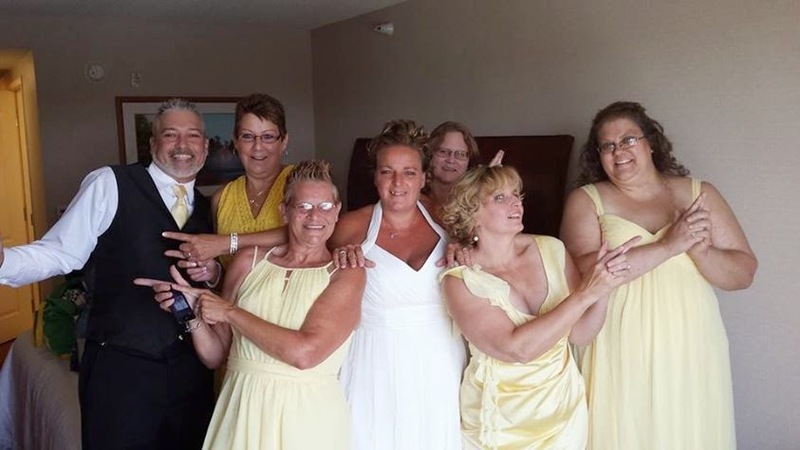 That's me, second from the right, as we do our half-assed Charlie's-Angels pose in the hotel room in our wedding finery. The bride - this bride, there were two - is my best friend from high school. Back then we talked about what sort of wedding we would have. My actual wedding was small and casual, but she went the whole nine yards. There was a chocolate fountain, y'all! and then firing, probably overnight. Squashing it all into one day because when I play, I pay. 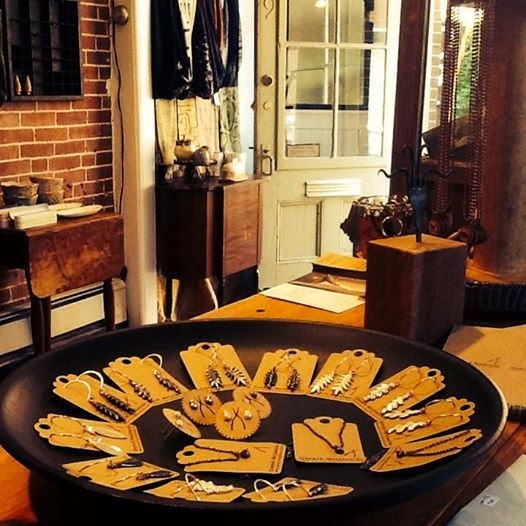 I need inventory for a new store opening in Belfast, Maine: Quench! More later: time to get dirty. In many ways, the soaping process reminds me of clay work: the chemistry, the waiting, the big reveal. In one way, soaping reminds me of fiber art, which I spent some time in, in college. Back then I was always finding or making little bits of things - beads, buttons, dyed fabric - and saving them to use in some future project. 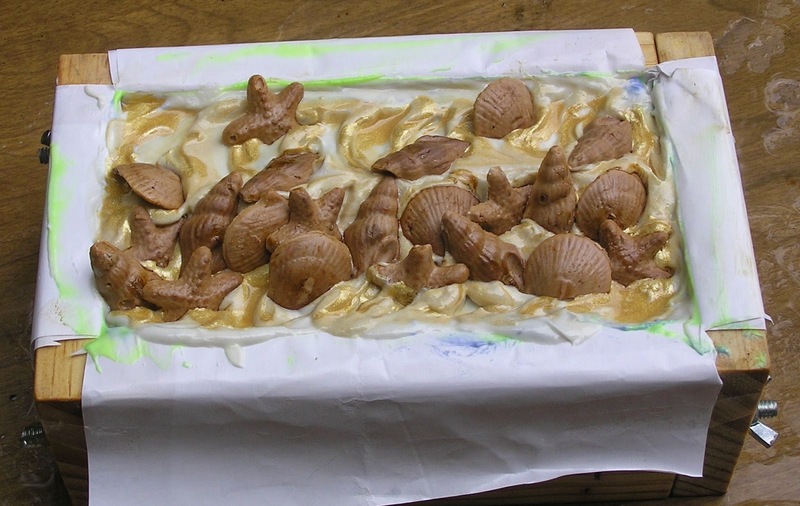 I find that I do that with soap, too: each batch makes more soap than will fit in the mold, so I use the extra to pour into candy molds - like these little seashells - or tube molds for inserts, or just bricks of color. Then I get a design idea, and go through my saved-up materials to see what would make a nice grace note. I find I always want a grace note, in this case the scattered shells, and the gold mica shimmer. That is what makes the bars special, sets them apart at a glance from a perfectly-serviceable bar you can get in the grocery store. (Most of those aren't actually soap; they are detergent, but for most people that's a big ol' whatever.) The chemistry is important, too - the soap needs to feel amazing, lather generously, smell delightful. Those are all function. People never get to experience that part, unless they look at the soap and think, want. 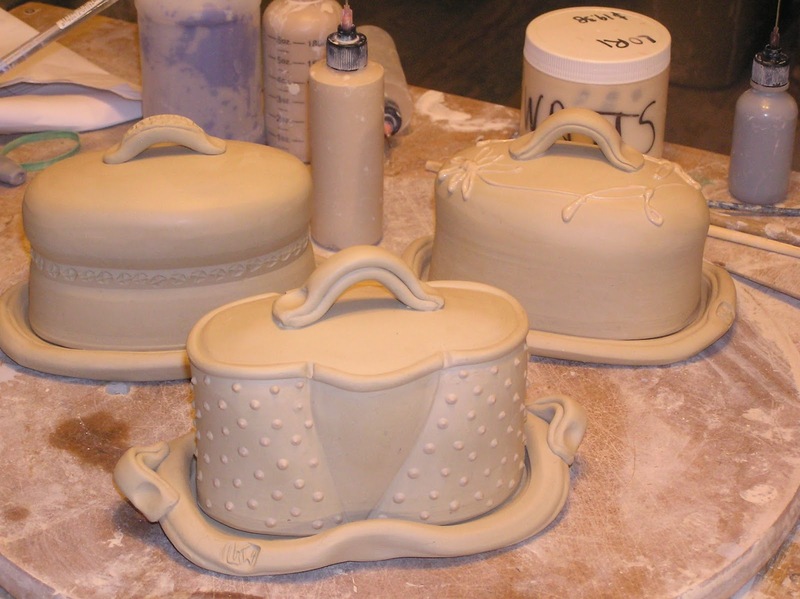 Like clay, a boring piece can serve the function just as well as a special one. The grace notes are what make using it a great experience. These are on the curing rack, and will be available mid-September. That was fun! Bev is more or less what I expected my clients to be: an artist who is not particularly techie, and doesn't particularly wish to be, but needs a web presence. I can see how web building will be a good compliment to clay work. They are so different. When I don't feel up to the one, the other seems inviting. Blue and green swirls, white and gold froth, and those are little soap-cast seashells gracing the top! Unmolding tomorrow to see what the bars look like. I also made one smaller loaf as an experiment. We'll see that one tomorrow, too, but I am less optimistic there. It's probably a jinx to mention it, but it feels like there's been a bit of karmic rebalancing going on in my professional life lately. For as long as you've known me - for as long as I've known me - I've struggled, struggled, struggled financially. That hasn't changed, although some things are easier: my nephew has gotten his own apartment (and doing well! Two jobs, two cats, good friends) and of course there's no need for heating oil in summer. I haven't yet seen the money from these events, but the air is great with potential, like thunderheads promising relief from a heatwave. 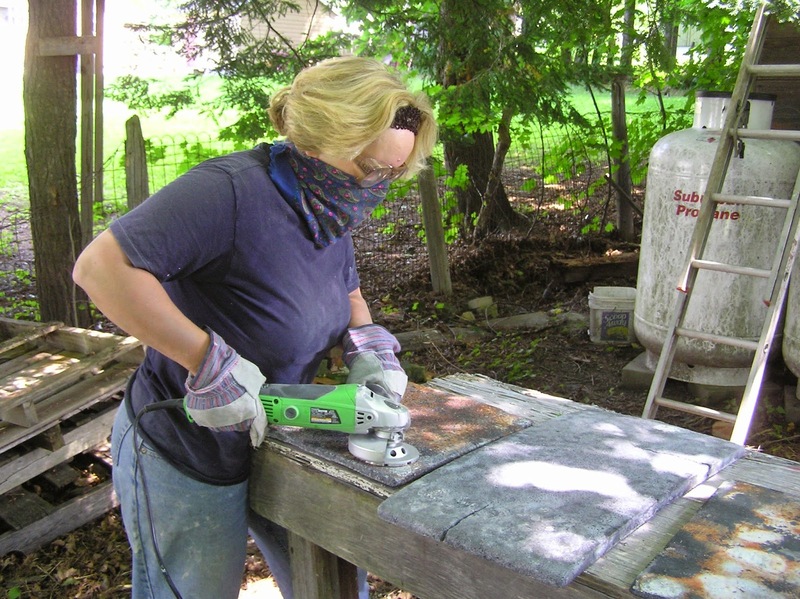 When I lost those two accounts in a short span of weeks, I feared it might be the end of my days as a full-time potter; perhaps, I thought, my long run of staying improbably afloat had come to an end. Because I have more guts than brains, I clung on with my fingernails, trying to make something happen, and - lo! - things started happening, but not, mostly, because of anything I did. Just random event clusters...a series of unfortunate events, then a series of fortunate ones. I'd like to believe somebody up there has a plan for me, but if so, could we tweak it just the teensiest bit? "I realize, of course, it's no shame to be poor. But it's no great honor either." Yesterday was butterdishes! I had thrown and stretched these on Sunday but it was Friday before I got a chance to assemble them. They are some of my favorite things to make: enough elements to keeping things interesting, and a broad surface to decorate. It's hard for me to remember to leave something for the glaze to do! I expect these to be part of the August 15th firing. I haven't forgotten that I am supposed to be doing a video of butterdishes. Maybe during the glaze firing. It's hard for me to make anything while the kiln is firing, for some reason. Yesterday was also website work. I built my own, noticed that it was not that hard to do, and a few weeks ago, I started putting the word out that I was available to build websites. I had in artists in mind; lots of artists are not especially tech-y, but nevertheless need a website. People are always asking if you have one, for one thing! And if you want to show someone what you do at distance it really is still the best way. I've gotten a few responses already, and started building the first last night.I'll post links to the finished sites here, once I get the go-ahead from the artists involved. And today? Raku Workshop!! I run a series of them in conjunction with Portland Pottery every summer; this is the second this year. The sky is looking a bit ominous...here's hoping it holds off. Maybe, like weddings, rain is good luck for the firing? Tomorrow I am back in the studio, finishing some salt & pepper shakers and plates, and throwing for a new account: Craft Company No. 6! More on this later.